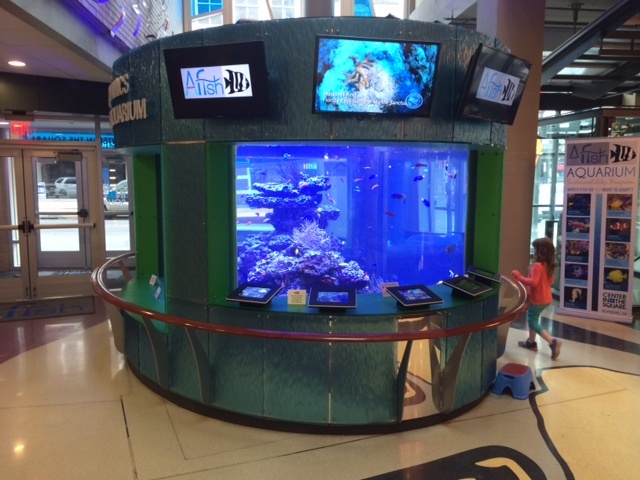 Aquarium at Roanoke's Center in the Square - REEF AQUARIA DESIGNREEF AQUARIA DESIGN | Every great room deserves a great aquarium. The 5,500 gallon tank is one of four that will welcome visitors to the renovated building. ROANOKE, Va. — Center in the Square is bringing the ocean to Roanoke, but first it had to bring an aquarium from California. Crews worked into the evening Thursday to ease the new addition into place. Crews worked carefully, securing the aquarium to a large crane, slowly lifting it from a flatbed trailer and lowering it onto the sidewalk outside Center’s lobby.The final leg would take it inside, to the spot in Center’s Atrium where it will rest. People in Market Square stopped to watch all of the commotion, and imagine what’s to come. The living coral reef aquarium will feature 250 colorful fish and 150 live soft and stony corals. Three smaller aquariums will hold jellyfish and seahorses. They will be be ready for visitors when the renovated Center in the Square holds its grand reopening next May.